Straw color. Earthy, citrusy, fruity aromas and flavors of apples on the tree, creamy tapioca, and pound cake with a silky, vibrant, dryish light-to-medium body and a sleek, interesting, medium-length finish with accents of pickled pear and melon, reduced lemon, powdered nuts, and pepper with no oak flavor. A savory, mouthwatering Chardonnay with nicely balanced oak. Bottom Line: A savory, mouthwatering Chardonnay with nicely balanced oak. 89 • Casa Larga 2015 Dry Rosé, Finger Lakes 11.5% (USA) $11.99. 89 • Casa Larga 2015 Rosé of Pinot Noir, Finger Lakes 12% (USA) $17.99. 85 • Casa Larga 2013 Pinot Noir, Finger Lakes 12% (USA) $16.99. 89 • Casa Larga 2010 Fiori Barrel Aged Vidal Blanc, Finger Lakes 10.5% (USA) $59.99. 90 • Casa Larga NV Cab-Merlot, Finger Lakes 12% (USA) $12.99. 89 • Casa Larga NV Meritage, Finger Lakes 13% (USA) $21.99. 88 • Casa Larga 2013 Sunrise Hill, Cabernet Sauvignon, Finger Lakes 13% (USA) $24.99. 88 • Casa Larga 2013 Sawmill Creek, Cabernet Sauvignon, Finger Lakes 13% (USA) $24.99. 85 • Casa Larga 2015 Vidal Blanc, Finger Lakes 11.5% (USA) $13.99. 90 • Casa Larga 2015 Chardonnay-Riesling, Finger Lakes 11.5% (USA) $13.99. 91 • Casa Larga NV "Tramonto", Finger Lakes 11.5% (USA) $9.99. 86 • Casa Larga NV "Pallido", Finger Lakes 11.5% (USA) $8.99. 87 • Casa Larga NV "Lilac Hill", Finger Lakes 11.5% (USA) $9.99. 84 • Casa Larga NV "Petite Noir", Finger Lakes 11% (USA) $8.99. 87 • Casa Larga 2015 Dry, Riesling, Finger Lakes 11.5% (USA) $13.99. 87 • Casa Larga 2015 Medium Dry, Riesling, Finger Lakes 11.5% (USA) $13.99. 85 • Casa Larga 2015 Microclimate, Riesling, Finger Lakes 11.5% (USA) $24.99. 89 • Casa Larga 2014 American Oak Barrel Fermented, Chardonnay, Finger Lakes 13% (USA) $17.99. 90 • Casa Larga 2014 French Oak Barrel Fermented, Chardonnay, Finger Lakes 13% (USA) $19.99. 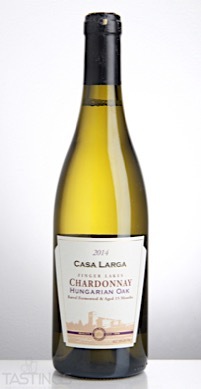 89 • Casa Larga 2014 Hungarian Oak Barrel Fermented, Chardonnay, Finger Lakes 13% (USA) $18.99. 88 • Casa Larga NV CLV, Chardonnay, Finger Lakes 12% (USA) $13.99. 91 • Casa Larga 2016 Vineyard Hill, Chardonnay, Finger Lakes 11.5% (USA) $9.99. 91 • Casa Larga 2016 Rose, Finger Lakes 12% (USA) $12.99. 84 • Casa Larga 2014 Pinot Noir, Finger Lakes 12.5% (USA) $16.99. 91 • Casa Larga 2016 Rosé of Pinot Noir, Finger Lakes 12% (USA) $14.99. 92 • Casa Larga 2013 Fiori Delle Stelle Estate Grown Ice Wine, Vidal Blanc, Finger Lakes 11.8% (USA) $43.99. 81 • Casa Larga NV Cab-Merlot, Finger Lakes 12.5% (USA) $13.99. 92 • Casa Larga NV Meritage, Finger Lakes 13% (USA) $23.99. 88 • Casa Larga 2016 Chardonnay-Riesling, Finger Lakes 11.5% (USA) $13.99. 83 • Casa Larga NV Pallido White Blend, Finger Lakes 11.5% (USA) $9.99. 88 • Casa Larga 2015 Medium-Dry, Gewurztraminer, Finger Lakes 11% (USA) $16.99. 90 • Casa Larga 2016 Vineyard Hill, Riesling, Finger Lakes 10.5% (USA) $11.99. 86 • Casa Larga 2016 Medium-Dry, Vidal Blanc, Finger Lakes 11.5% (USA) $13.99. 88 • Casa Larga NV Tramonto Red Blend, Finger Lakes 12.5% (USA) $10.99. 84 • Casa Larga 2015 Fiori Delle Stelle Estate Grown Ice Wine, Vidal Blanc, Finger Lakes 12.1% (USA) $47.99. 85 • Casa Larga 2016 Dry, Riesling, Finger Lakes 11.5% (USA) $14.99. 88 • Casa Larga 2016 Medium Dry, Riesling, Finger Lakes 11.5% (USA) $13.99. 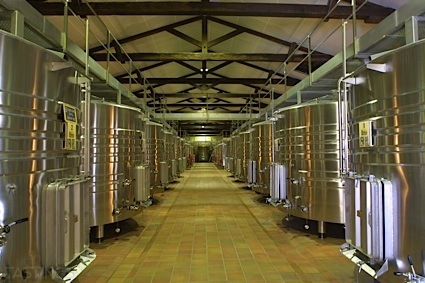 Casa Larga 2014 Hungarian Oak Barrel Fermented, Chardonnay, Finger Lakes rating was calculated by tastings.com to be 89 points out of 100 on 3/13/2017. Please note that MSRP may have changed since the date of our review.